Holy moly it’s crazy cold! 40 degrees and it’s almost April- totally not used to this. I woke up at noon today. The very weird sleep schedule continues. This was after I went to bed at 3am? hm. I’m getting plenty of sleep but not really at the hours I want. I headed out to just plain walk- no purpose or intent except to get to know the area better. First bought some metro tickets- un carnet or a pack of ten tickets. Quite successfully too- I might have even been asked for directions while I was waiting in line. Then off I went, through the Champs de Mars and boy were there a TON of people out, jogging, walking, playing soccer. 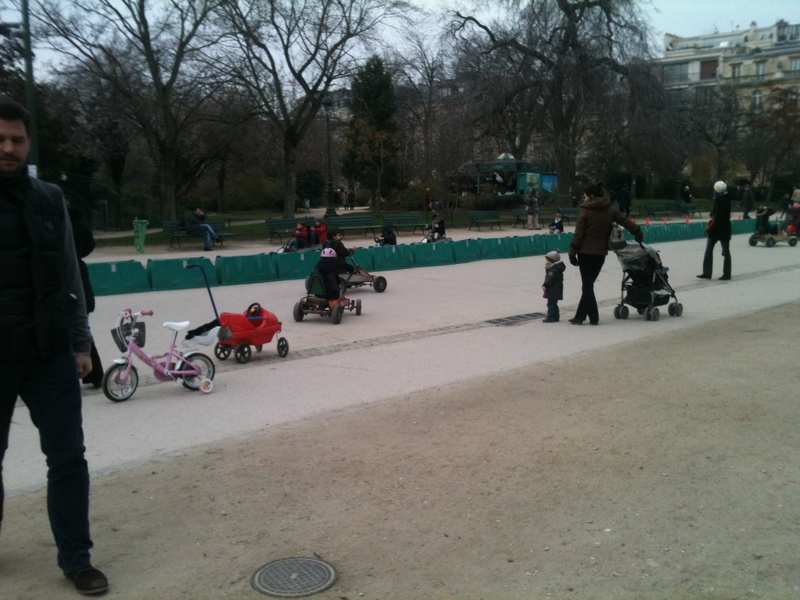 There was even a “race track” set up for the kids with go-kart type bikes. 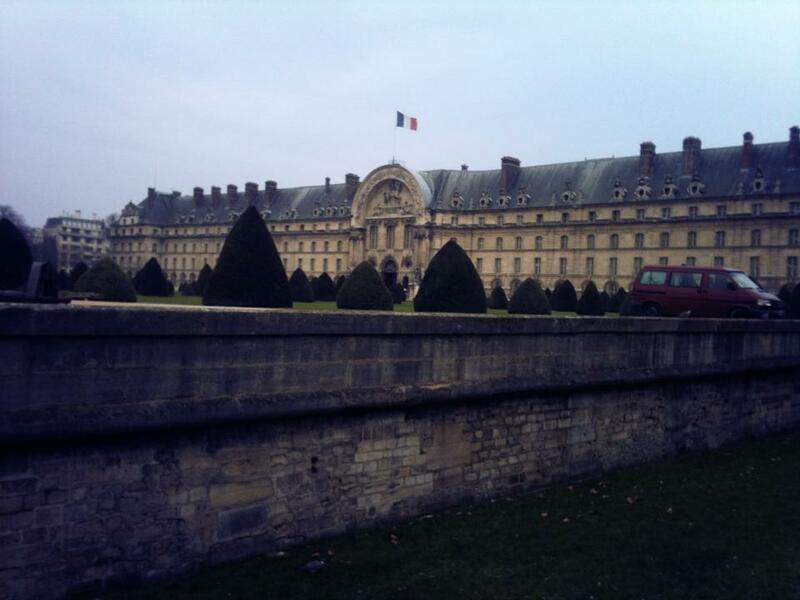 Kept walking North and ended up at Les Invalides! 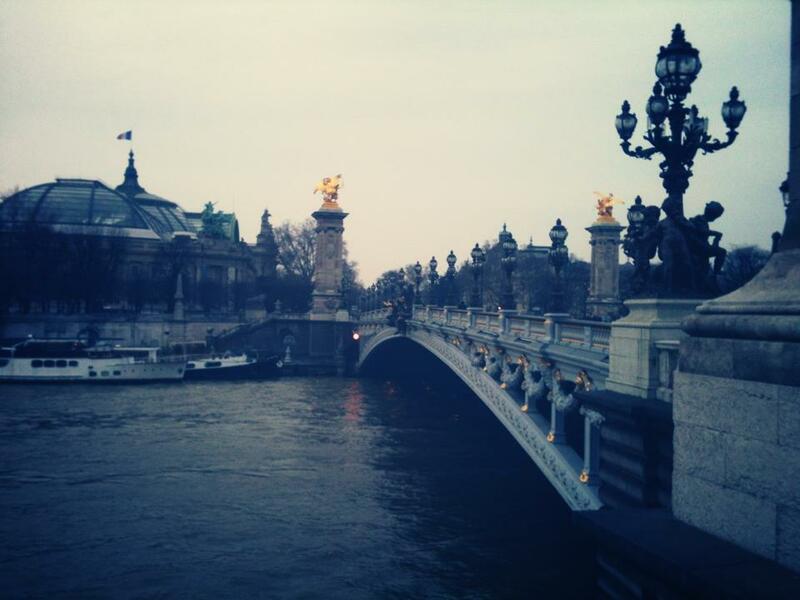 Then up up up across the Seine after passing some guys playing street hockey on bikes. And questioned by two more tourists for directions. Then continued on my way and my path was stopped by police. 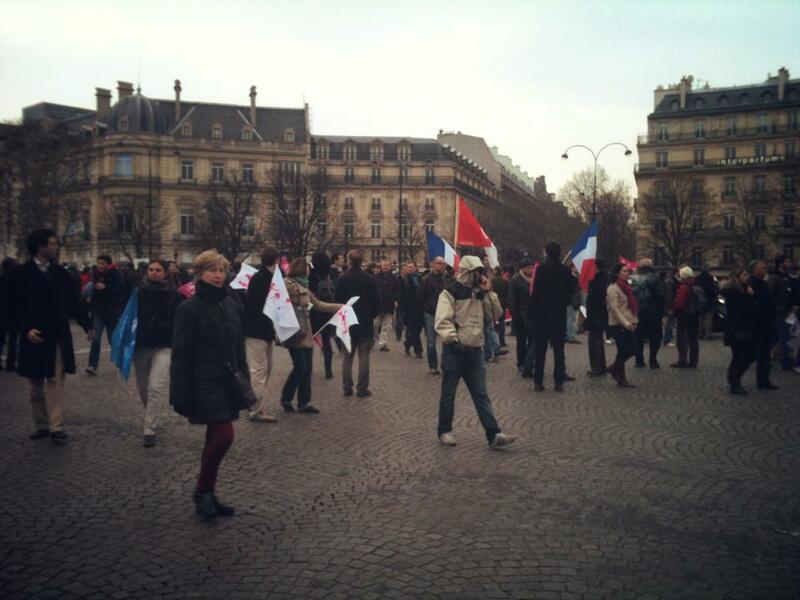 hmm I turned a bit and walked down another street and I was on the Champs Elysses in the middle of a protest. Protest Video 3-24-13 I recorded a bit! Pretty exciting until I found out it was a protest against gay marriage. So on my way again! 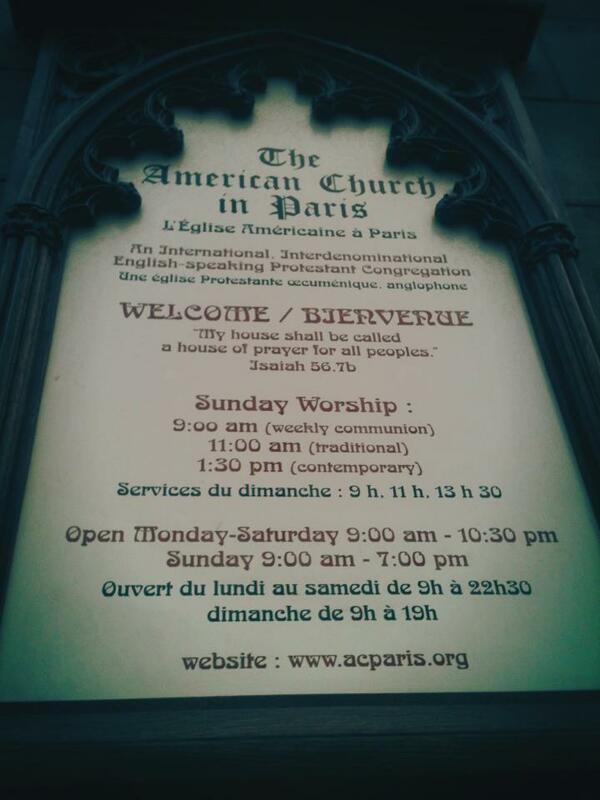 Across the Seine, found that I was on Blvd D’Orsay the street the American Church in Paris is on! I saw a Cathedral and headed that way- Bingo! I stopped in and can’t wait to get more involved. 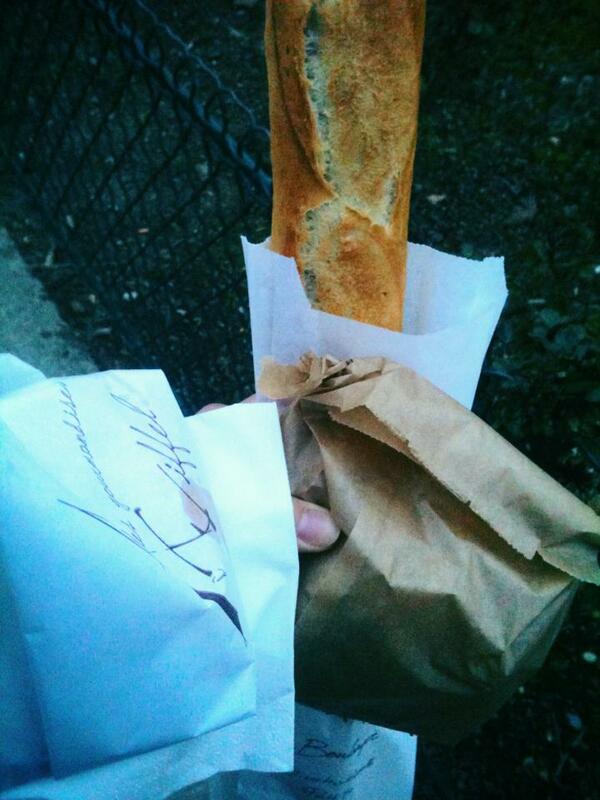 On my way back, spotting the Eiffel Tower in the distance, and I stopped at a Boulangerie for une baguette, deux croissants, and une pizza jambon! Oui en Francais! huzzah! Hope you have warmer spring temps soon!